Medical School, the Department of Health (Namibia) and is sponsored by Novartis. We have 23 nurses and doctors attending the course from all around the Windhoek area. Namibia is a sparsely populated country (population 2million). Many of the clinics are isolated and run by nurses. The course was opened by Dr N Forster, the deputy permanent secretary from the Ministry of Health. As a medical doctor, he started his career working in primary clinics. Since becoming involved in the department of health, he has continued building primary health care clinics. The emphasis of the health department has been on prevention of disease and promotion of health care. In his talk, he noted that NCD (non communicable diseases) are becoming an increasing problem in Namibia. The Dean of the University of Namibia Medical School, Prof Peter Nyarango, welcomed us. He stressed the point that medical education doesn’t happen in buildings. The initial teaching happens there but real learning happens in the field. He made the interesting point that the diagnostic process begins in the home. It is imperative for all us who are health practitioners to transfer our knowledge so not only health care workers are empowered but families are as well. The day followed the pattern of lectures and practicals. We were fortunate enough to have a good looking model for the examination practical: Dr Oscar Benyara from Novartis. Prof Celestine and Dr Abigail Mukendwa assisted with the the teaching in the afternoon. 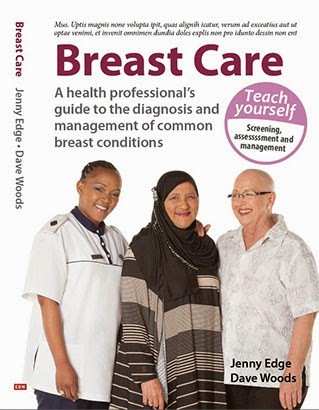 We have been invited to run the breast course in Namibia to help with the opening up of a breast clinic in Katatura. It is very encouraging to see that our course is being used as part of a health department and University of Namibia initiative. As always, a big thank you to our 2 main corporate sponsors for this course: Pathcare who sponsored the books and Novartis.